Wayne Cozart, aged 75 years of the Brownlee District, passed away on Thursday, January 24th, 2019. He was predeceased by his parents, George and Margaret and four brothers: Jim, Ernie, Abby and Eddie. Wayne will be lovingly remembered by his wife of 51 years, Elaine; daughter, Susan (Robert); son, Dwayne (Linda); six grandchildren: Lacey (Kevin), Kim, Dallas, Bailey (Ozzy), Austin and Wyatt; two great granddaughters, Scarlett and Alannah as well as numerous other relatives. A Celebration of Wayne’s Life will be held on Wednesday, January 30th, 2019 at 1:30 P.M in the Moose Jaw Funeral Home with Gary Giofu officiating. In lei of flowers, donations in Wayne’s name may be made to a charity of one’s choice. Arrangements are entrusted to Moose Jaw Funeral Home, 268 Mulberry Lane. Todd Sjoberg, Funeral Director 306-693-4550. My deepest sympathies to all the Cozart family. Our most sincere condolences to the Cozart Family in the passing of Wayne. Elaine and family,I am so sad to hear of Wayne’s passing.He was a friend and a teacher to so many.Deepest sympathy to all. Sorry to hear. 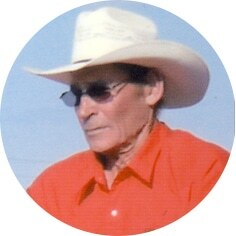 Wayne will be remembered for his team of horses and wagon rides. He was a great guy. Deepest Sympathy to all of you from the Laybourne’s. Deepest condolences on Wayne’s passing. Elaine and family, our sincere condolences on your loss of Wayne. I always enjoy my visits with you both. I will remember him for many reasons, one of which was his sincere enjoyment when he was driving his big teams out at different events. John and my sincere sympathy to all. Deepest sympathy to all. He was a great influence on anyone lucky enough to have known him. I was fortunate to have had him in my life. I treasure all the wonderful childhood memories I have of the good times we had. Somewhere Wayne is still hitching up a team! Such great memories from our time on the CB Fair Board. Sympathies for your loss Elaine. Condolences to the Cozart family. My condolences to you all. Wayne held a special place in so many lives, and I have fond memories of him. My heart goes out to you Elaine, Sue, Dwayne and families. Sorry to hear of Wayne’s passing. Always enjoyed visiting with you & Wayne at fairs & other community events over the years. His smile & sense of humour will be missed. Condolences to Elaine and family…sorry for your loss. My thoughts and prayers are with you. Elaine,so sorry to hear of Wayne’s passing .So glad to have had a long talk with you two in the parking lot not long ago. Lori and I extend our sincere condolences . By and Lori Benson. Thoughts and prayers with all of you. Remember the good times and He will always be with you. Sorry to hear of Wayne’s passing. Hugs to Elaine and family. Wayne so loved his horses! Elaine, Susan and Dwayne, I am so very sorry for your loss. I have so many fond memories of Wayne from 4-H, horse shows and visiting your farm. He was kind, had a wonderful sense of humor and always had a smile on his face. My thoughts are with you all. I am so sorry to learn of the passing of Wayne! My sincere condolences to Elaine, Susan, Dwayne and families. I will always remember him and his horses! Deepest sympathies Elaine,Dwayne,Susan and families. Wayne will be missed in the community. Always have fond memories of sleigh rides with him driving the team. So sorry to hear about Wayne. So enjoyed our visit with you two in MJaw during our reunion. Deepest sympathies to Elaine and family. We’ll remember Wayne as a coffee mate, bus driver and horseman. Elaine, Susan, Dwayne and families you are in my thoughts and prayers. Wayne is at peace. Thinking of you all during this difficult time. Wayne was such a humble man. Anyone that knew him was given a gift, he is without a doubt the most caring person. My words speak short of the tremendous respect I have for Wayne. We all have certainly lost… a great one. RIP Wayne. My sincerest sympathies to the Cozart family. Elaine and family. So very sorry to hear of Wayne’s passing. Wayne was a great guy who always had a entertaining story to tell us. I have many fond memories of travelling to convention with him with the RM when he was on the council. He will be missed and not forgotten. I am truly saddened to hear of the passing of Wayne. He was a man who worked hard but loved all that he did with a passion and I loved meeting up here and there and him with his sense of humour. Thinking of you All and are in my prayers. Our thoughts and prayers are with you at this time of your loss. Wayne was a great guy, and lots of memories of good times at horse shows around the province. Elaine and family – my deepest sympathy for your loss. I have many memories of Wayne over the years starting with the Purple Sage Riding Club “ way back “. He will be missed. Elaine, Susan , Dwayne and families so sorry to here about Wayne he will be truly missed in the heavy horse world especially in the Perchron breed!! I learned alot about driving horses from Wayne through the few years helping and showing at fairs across saskatchewan he was a real mentor!!! Take care. Our condolences to the family. Wayne was an inspiration to so many, not just with horses but in every manner of life. Elaine, Susan & Dwayne and families, so very sorry for your loss. My family have many good memories of our times over the years with Wayne. His tireless work with children, through 4-H and at any request to teach them love of animals. Jaymie and Maureen cherish their days with their horses in 4-H. Parades will be at a loss without Wayne and his teams. Much love and sympathy. Our sincere sympathy to you and your family, Elaine. So sorry to hear of Wayne’s passing. I have known him since we lived in Lawson at the same time. Condolences to the family. Our sincere sympathy Elaine and Family. Wayne will be fondly remembered by his horse family. Our sincere sympathy, to you and your family. My deepest sympathies Elaine and family. I will always remember Wayne with his majestic horses. Elaine and family. We were so very sorry to hear of Wayne’s passing. We always enjoyed a visit with him and the family at the horse events in swift current, he will be truly missed, he was a great man. You are all in our thoughts and prayers at this most difficult time. So sorry Elaine and family. Loved Wayne’s smile and sense of humour as well as his love of animals. He will be missed by so many. Elaine and family- please accept our condolences on the passing of Wayne. He was a good friend to dad and so many others. They had a lot of good times together working with the horses. It was so nice to see you both at dad’s birthday. My Condolences Elaine and families! So sorry to hear of your loss,Elaine,our thoughts are with you. Thoughts and prayers are with you and all your family, Elaine. Our condolences Elaine to you and your family. Our condolences to you Elaine and family. Sorry for your loss Elaine, Sue, Dwayne and family. My thoughts and prayers are with you. Elaune and family. Wayne’s passing has touched us all with sadness. You and Wayne’s overnight stay at our cabin at Tobin Lake, Sask this past fall was very enjoyable. We are truly grateful fir this time that we spent together with laughter and love. God Bless you. It is with great sadness I am reading of Wayne’s passing. Our condolences to Elaine, Susan, Dwayne and your families. So sorry to hear of Wayne’s passing. Always enjoyed running into both of you . Our deepest sympathy to Elaine and family – Ron always enjoyed a chat about the draft teams and all the horses whenever he had a chat with Wayne. So sorry for your loss. I have many memories of Mr. Cozart from him sponsoring me to run for Central Butte homecoming queen to all the work with horses that he shared with anyone who was interested. It was a privilege to share a moment in time with him. My family is thinking of you guys. Take care of each other. My condolences to your family. Elaine and family — hugs to you. Haven’t known Wayne as long as many others, wish we had, always a gentleman, easy and interesting to visit with. Our most sincere condolences to you, Elaine and family. Wayne was truly one of a kind. We were honoured to have called Wayne our friend. Sorry we won’t be at the service as Fred has cataract surgery that day but our thoughts and prayers are with you. My thoughts and prayers are with you at this time of sorrow. My prayers are with you. Wayne was the best bus driver ever. My condolences to you. I was shocked and filled with sorrow when I heard of Wayne’s passing. Wayne was a shining example of hard work, humility, and honesty that we all need to follow. My deep regret is not being able to see him when I dropped by this past summer; as he was out haying. His dedication to horses, and his help in teaching other young horse lovers; also displayed leadership that many people have gratefully learned from Wayne. My deepest sympathy to you Elaine, Susan, Dwayne and families. Deepest sympathies are sent to each of you. So sorry for your loss Elaine and family our thought are with you all . Our sincere condolences of our dear friend Wayne , we are so blessed to have know Wayne & all the families for 42 yrs. He was a very special man in our lives & travelled from Ontario to visit with all of you. We will cherish all the memories we have shared with Wayne & all of you. We are so sorry to hear of Wayne’s passing; I sincerely enjoyed my conversations about farm and family with,Wayne.We are unable to attend Wayne’s celebration of life but know our thoughts and prayers are with you at this difficult time. Elaine and Family, thinking of you on this very sad day.Sympathy on your loss. So sorry to hear of Wayne’s passing. I always enjoyed the few times I had a chance to visit with you both. He must have gone to Grandview school when I did but don’t remember any of the Cozarts. I was very young at the time. Sorry to hear of Wayne’s passing. We send our condolences to the Cozart families. So sorry to hear of Wayne’s passing.. we have been away..